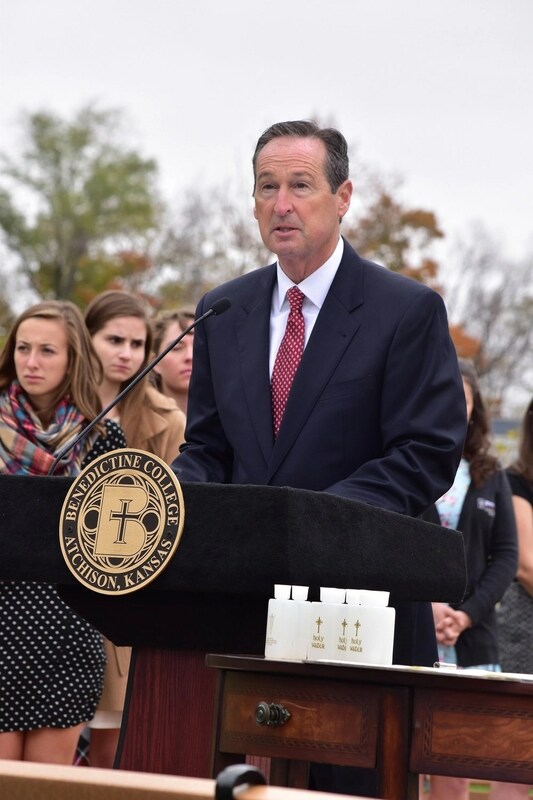 “This is one of the most important gatherings of our lives,” President Stephen D. Minnis said on Oct. 30, 2016. 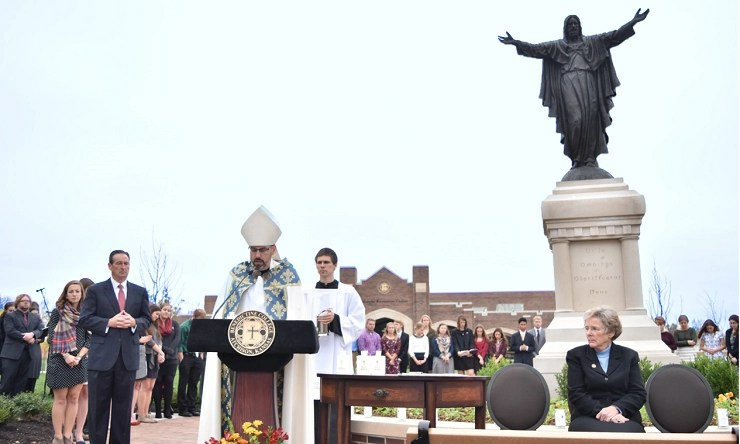 That was the day the college enthroned the Sacred Heart of Jesus in the center of Benedictine College’s campus. For June 23, 2017, the first Feast of the Sacred Heart since the Enthronement, we present the prayers the college made on that day. 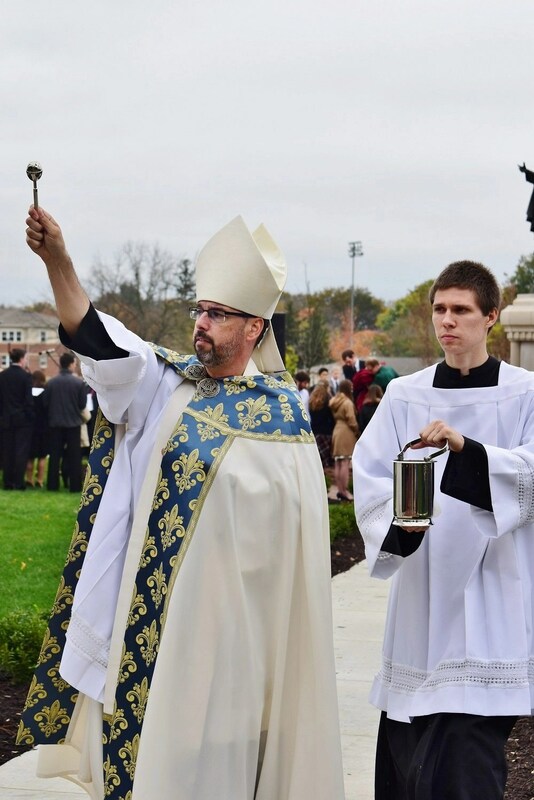 “O Most Sacred Heart of Jesus, we are assembled here today as a special family to proclaim Your protection for all students, faculty, administrators, parents, and benefactors of Benedictine College. “In this special family we want to grow in virtue, especially those which are so pleasing to you and which You promised would bring peace on earth. “Jesus, we ask you to preside over our gatherings, to bless our every action, to ward off all dangers, to sanctify our joys and to lighten our sufferings. 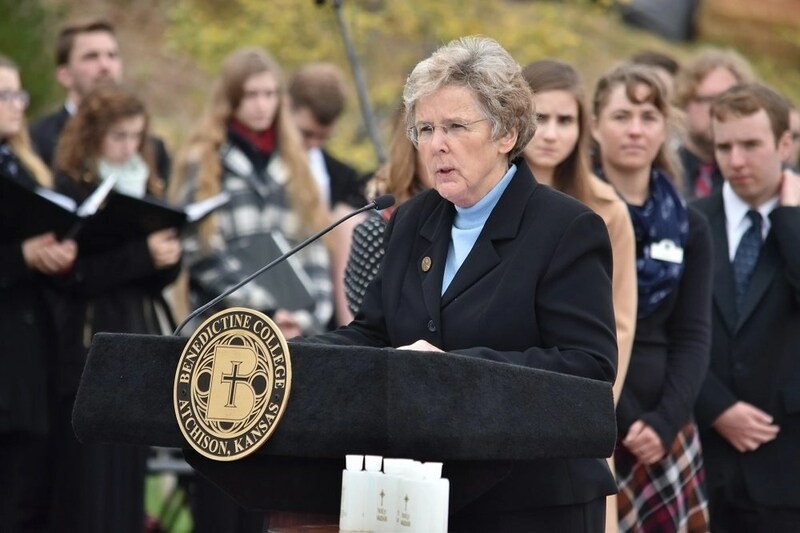 “And when Benedictine College, its families, faculty, associates and benefactors are faced with tragedy of any kind, even death, we shall be comforted to know that the day will come when, as St. Benedict says, God will bring us all together to everlasting life. “We thank You, Lord Jesus, for all the gifts You have granted to us through the merciful love of Your Sacred Heart. We are truly grateful for Your gift of life and faith. We thank You for the gift of our parents and teachers. We also thank You for the gift of the priesthood, religious life, and all the other Sacraments, which increase Your Divine Life in us. We thank You for the gift of Your Blessed Mother, whom You have given to us as our Mother and our Queen. “Above all, good Jesus, we are grateful for the greatest gift of Your Loving Heart: the gift of Yourself – in the crib, on the cross, and in the Holy Eucharist. 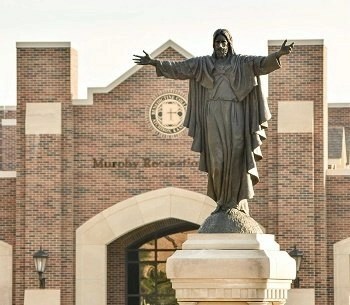 “We thank You, O Sacred Heart of Jesus, for all those who have made this institution possible. Finally, O Lord, we thank You for coming into our gatherings as we share our lives with each other. “As part of the enthronement, Our Holy Father has urged all to consecrate themselves to the Immaculate Heart of Mary. Therefore, let this institution, which formally consecrated itself to the Blessed Virgin Mary on September 8, 2013, honor her with this prayer,” said Abbot James Albers. 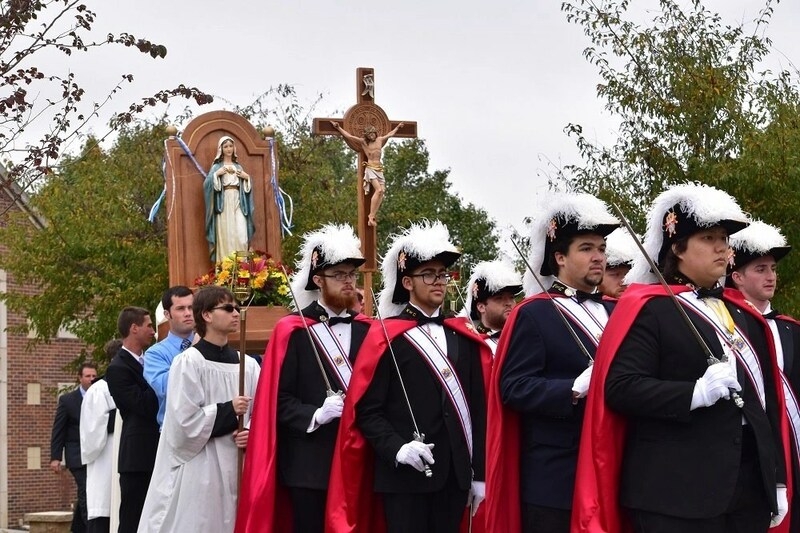 “Queen of the most Holy Rosary, and tender Mother of the Church, we consecrate Benedictine College to you and to your Immaculate Heart, and place in your loving care our special family, our personal families, and families throughout our country. “Please accept our consecration, dearest Mother, and use this Institution to accomplish your designs upon the world. O Spouse of the Holy Spirit, kindle in our hearts, Institution, and homes the love of purity, the practice of true Christian charity, and the courage to witness our Faith even at the cost of ridicule and suffering.